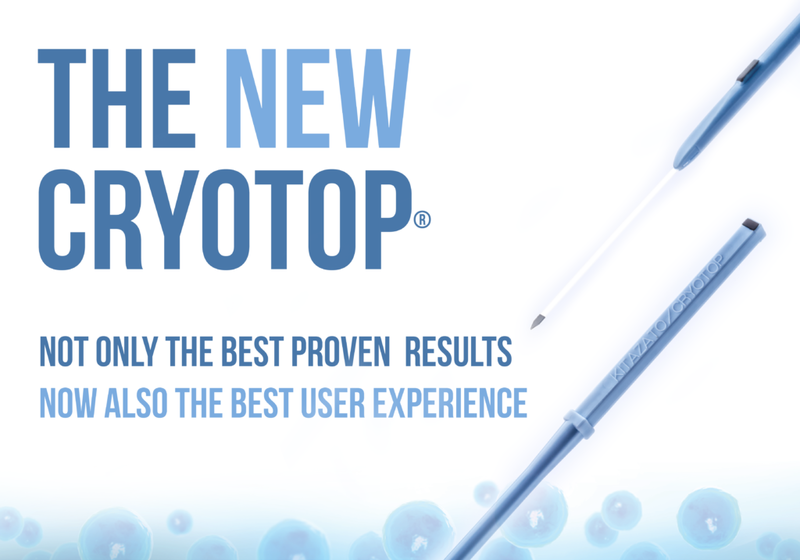 Kitazato has re-designed its well-known Cryotop® to keep offering the best proven results in the market while enhancing the overall user experience. The strip’s been widened. Now, with a bigger surface, it is even easier to load the specimens. The conjunction between the strip and the handle has been reshaped to ease the insertion into the cover straw. The plastic body of the Cryotop® has been widened slightly for a tight fit of the cover straw. There’s no risk of losing the cover in the tank. The Cryotop® has now two identification marks on its upper surface, defining the side where the specimens should be loaded.